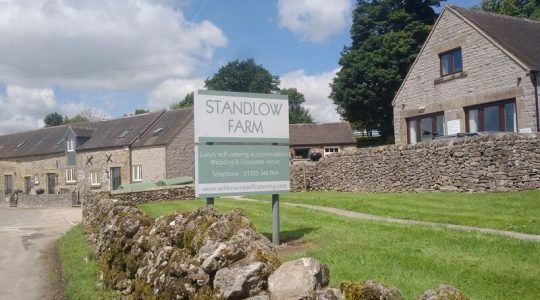 Clover Cottage is a traditional stone cottage in the Derbyshire countryside, with two bedrooms and an optional sofa-bed in the lounge. The master bedroom holds a king size bed, closet and set of drawers, rug and reading lamps. Crisp white bedlinen is provided with 2 pillows per guest. A warm throw is provided in the cooler months to add the extra bit of warmth. 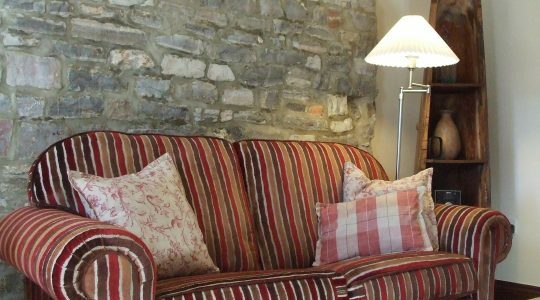 All our cottages are heated by storage heaters and this enables our guests to adjust the heating in each room to their own liking. 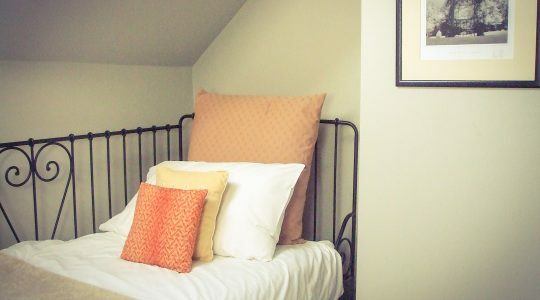 The twin bedroom has 2 single beds, closet and chest of drawers, reading lamps, and wonderful furnishings. 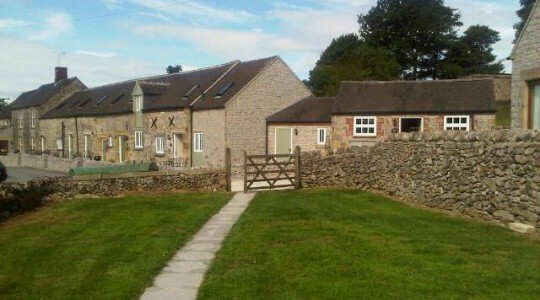 The twin room has the additional feature of the Derbyshire stone walling which adds a lovely country feel to the room. The beds are dressed in crisp white bedlinen and have the added luxury of a warm throw for the cooler months. 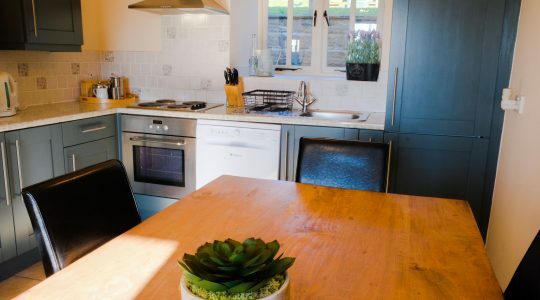 The kitchen is fully equipped to self cater for up to 6 guests. It has an electric fan oven, dishwasher, microwave & fridge-freezer, along with a dining table and chairs for 6. The lounge contains a double sofa bed, should there be 6 guests. A TV, DVD and Hifi system are provided for the comfort of the guests. A limited supply of DVDs and reading books are on offer to ensure that all our guests can relax and enjoy their stay with us. WIFI is available and free of charge. The upstairs bathroom has an electric shower over bath. 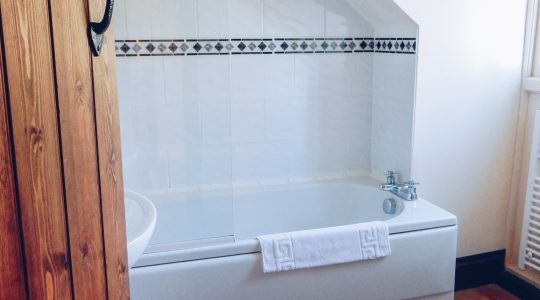 A heated towel rail is also incorporated and a bath mat is always supplied. We supply a bath towel for each guest on a short stay, and a further hand towel per guest for those staying longer. 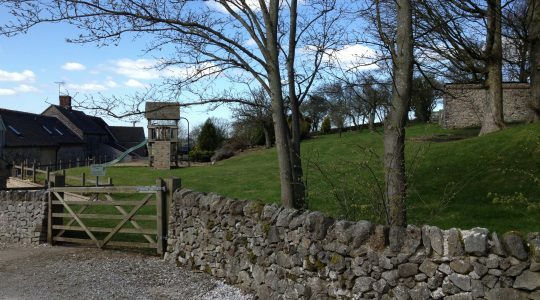 As with all our cottages, Clover Cottage has a terrace at the front of the cottage with garden furniture and a BBQ. The views are spectacular from the terrace and many a happy summer evening can be spent enjoying the scenery and the wildlife. Guests staying in Clover Cottage have shared use of a large games room with two full size snooker tables, air hockey, table tennis etc. The gardens behind also offer a children’s play area and football goals. 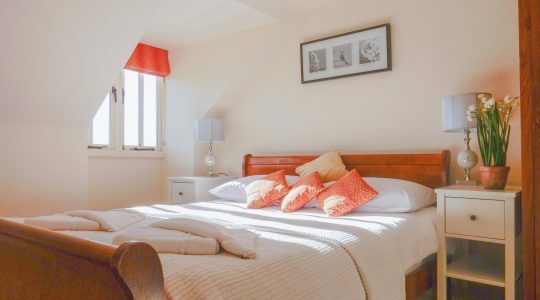 2 night stay – £450 – including a late Sunday check-out of 4pm, so you can make the most of the weekend away.